After my previous entry, I spent a lot of time afterwards looking at various match reports as well as the match day programme and the pictures we took from the day. Particularly after much observing of the former, I have decided upon a new weekly feature entitled ‘Where are they now’ – looking at players from time gone by. Obviously this week’s entry will focus on the starting XI that played in the Carling Cup third round tie against Manchester United on Wednesday 26th October 2005. Forever known as the man who was wrongly sent off in the aforementioned game, as well as holding the record for the quickest red card in League Cup history. Over his two seasons with the club, Flitney was limited to 50 appearances, losing his place to club legend Lee Harrison who returned in his second spell. After leaving the club, Flitney joined non-league outfit Grays Athletic, and has since played for Croydon Athletic and his current club Dover Athletic. Adam Gross joined the club in its first season in the Football League, coming from Charlton. He stayed for 2 seasons but was released in 2007 and joined Non-League outfit Grays Athletic. He has, since, stayed outside of the Football League turning out for Dartford and Thurrock, as well as Weymouth and Welling United on loan. 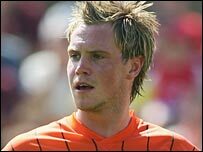 Strevs was a fans’ favourite who notched up under 200 appearances for the club in eight seasons. 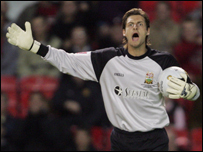 Before leaving in 2006 he was the longest serving player – as well as being the only to have been relegated to the Conference in 2000/01 and promoted back to the Football League in 2004/05. 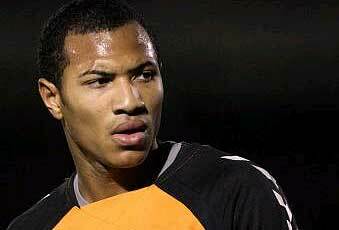 After leaving the club he joined Crawley, before playing for Dagenham and Redbridge and Brentford. He’s now at League 1 side Wycombe Wanderers. 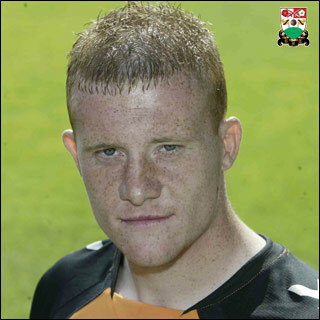 Despite starting in that infamous cup tie (when he was also substituted after 90 seconds to make way for substitute keeper, Scott Tynan), Louie only lasted a season at Underhill, before joining then-Conference side Aldershot Town. He now plays for fellow League 2 outfit Southend United. Joining during the Conference winning season, Dwane was one of those players whose off the field antics spoke louder than his performances on the pitch – and it was with no real surprise when he was allowed to leave halfway through the 2005/06 season – joining Kidderminster Harriers. He has since played for numerous Non-League outfits including Maidenhead United and Bromley. He’s now at Borehamwood. Next week’s entry will be on the Conference winning squad of 2004/05.